1. It’s your unlimited power to care and to love that can make the biggest difference in the quality of your life. 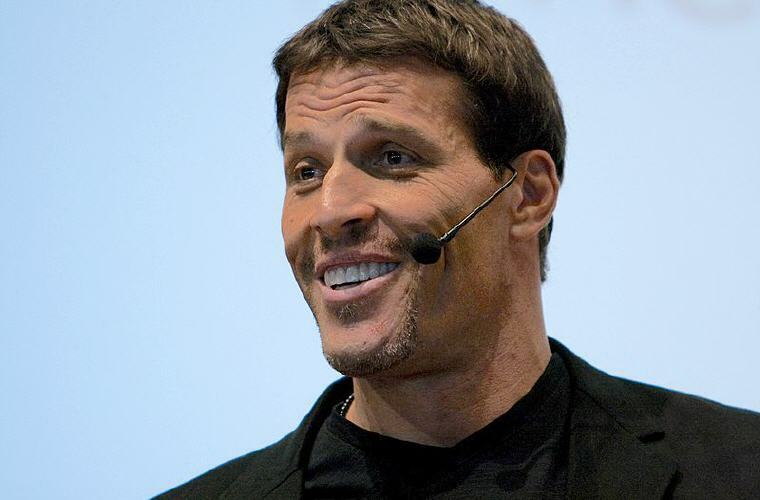 Excerpt from Wikipedia: Anthony Robbins (born February 29, 1960) is an American self-help writer and professional speaker who has been active for over 30 years. He became well known through his infomercials and bestselling self-help books, Unlimited Power: The New Science of Personal Achievement and Awaken the Giant Within. 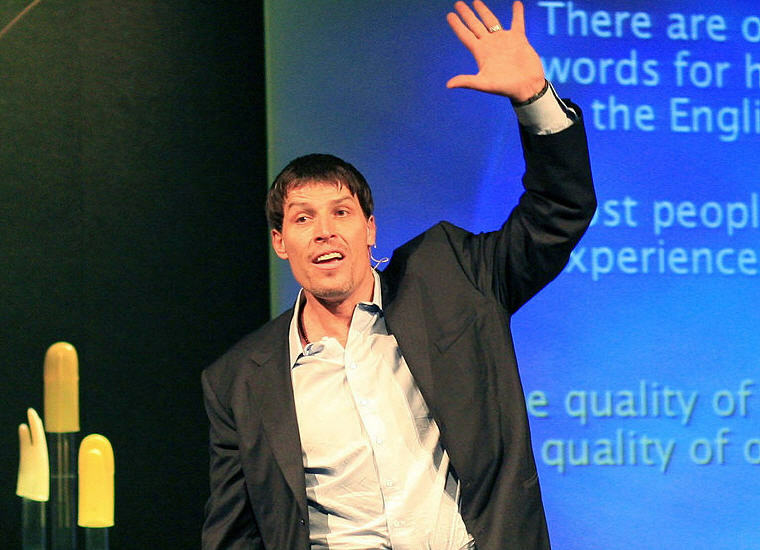 Tony Robbins writes about subjects such as health and energy, overcoming fears, persuasive communication, and enhancing relationships. #1-5 Awaken the Giant Within: How to Take Immediate Control of Your Mental, Emotional, Physical & Financial Destiny! 1. A real decision is measured by the fact that you’ve taken a new action. If there’s no action, you haven’t truly decided. 2. Beliefs have the power to create and the power to destroy. Human beings have the awesome ability to take any experience of their lives and create a meaning that disempowers them or one that can literally save their lives. 3. All personal breakthroughs begin with a change in beliefs. So how do we change? The most effective way is to get your brain to associate massive pain to the old belief. You must feel deep in your gut that not only has this belief cost you pain in the past, but it’s costing you in the present and, ultimately, can only bring you pain in the future. 4. Live life fully while you’re here. Experience everything. Take care of yourself and your friends. Have fun, be crazy, be weird. Go out and screw up! You’re going to anyway, so you might as well enjoy the process. Take the opportunity to learn from your mistakes: find the cause of your problem and eliminate it. Don’t try to be perfect; just be an excellent example of being human. 5. Life is a gift, and it offers us the privilege, opportunity, and responsibility to give something back by becoming more. 6. 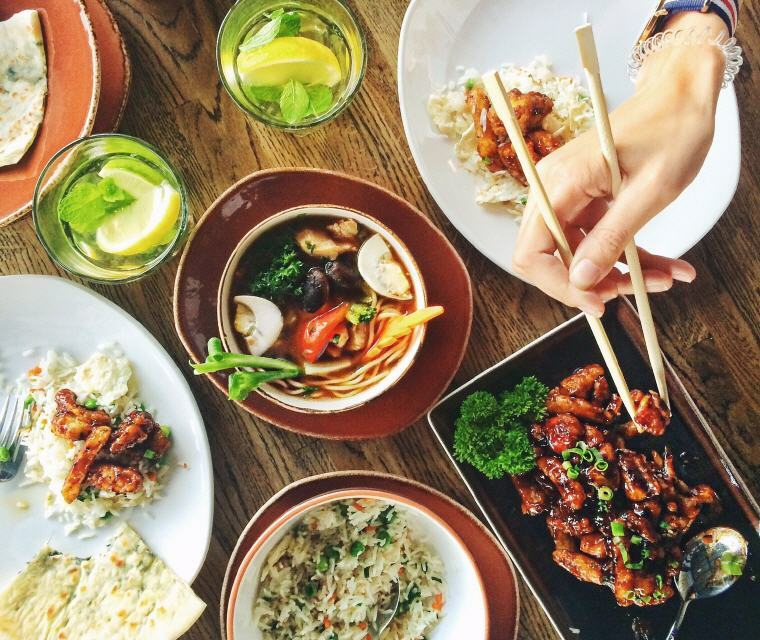 Want to learn how to eat a lot? Here it is: Eat a little. That way, you’ll be around long enough to eat a lot. 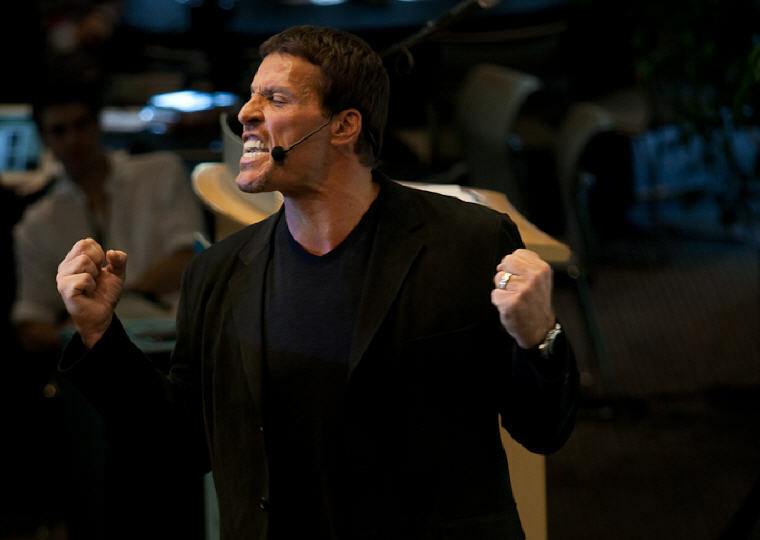 Tony Robbins: Want to learn how to eat a lot? Here it is: Eat a little. That way, you’ll be around long enough to eat a lot. 7. You see, in life, lots of people know what to do, but few people actually do what they know. Knowing is not enough! You must take action. 12. I believe life is constantly testing us for our level of commitment, and life’s greatest rewards are reserved for those who demonstrate a never-ending commitment to act until they achieve. This level of resolve can move mountains, but it must be constant and consistent. As simplistic as this may sound, it is still the common denominator separating those who live their dreams from those who live in regret. 13. To effectively communicate, we must realize that we are all different in the way we perceive the world and use this understanding as a guide to our communication with others. 14. I challenge you to make your life a masterpiece. I challenge you to join the ranks of those people who live what they teach, who walk their talk. 15. Success and failure are not overnight experiences; it’s all the small decisions along the way that cause people to fail or succeed. 16. Most people fail in life because they major in minor things. 17. More than anything else, I believe it’s our decisions, not the conditions of our lives, that determine our destiny. 18. It not knowing what to do, it’s doing what you know. 19. We can change our lives. We can do, have, and be exactly what we wish. 20. The path to success is to take massive, determined action. 21. You are now at a crossroads. Forget your past. Who are you now? Who have you decided you really are now? Don’t think about who you have been. Who are you now? Who have you decided to become? Make this decision consciously. Make it carefully. Make it powerfully. Then act upon it. 25. If you don’t set a baseline standard for what you’ll accept in your life, you’ll find it’s easy to slip into behaviors and attitudes or a quality of life that’s far below what you deserve. You need to set and live by these standards no matter what happens in your life. 26. It is in your moments of decision that your destiny is shaped. 27. Only those who have learned the power of sincere and selfless contribution experience life’s deepest joy: true fulfillment. 28. No matter how many mistakes you make or how slow you progress, you are still way ahead of everyone who isn’t trying. 29. Trade your expectations for appreciation and your whole world changes in an instant! 30. When you are grateful, fear disappears and abundance appears. 31. It is not what we get, but who we become, what we contribute… that gives meaning to our lives. 1. If you can’t, you must. If you must, you can. 2. If you want to be successful, find someone who has achieved the results you want and copy what they do and you’ll achieve the same results. 3. By changing nothing, nothing changes.